The Validity Of A Breath Test In A DUI Case Rests Upon A Vast Array Of Assumptions That Can Be Attacked By An Experienced DUI Attorney In A Wide Variety Of Cases. THE MACHINE IS IN PROPER WORKING ORDER AND HAS BEEN PROPERLY CALIBRATED. Even if everything is in proper working condition, there can be an acceptable variation of +/- .02. If your result is a .10% that’s a 20% error factor. How would you feel if the altimeter of an airplane was 20% off? THE SAMPLE WAS PROPERLY OBTAINED. The law requires that you be under continuous observation for 15 minutes prior to your breath test to prevent “MOUTH ALCOHOL” If the operator of the breath machine did not have you under continuous observation for 15 minutes prior to testing, your test may be invalid. 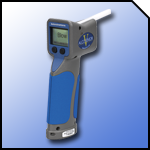 This is extremely important in Orange County DUI Breath cases because the Alco Sensor VXL does not have a mouth alcohol or slope detector like most devises used in California and throughout the United States. Even if you were observed, you may have medical conditions, which make you an improper candidate for breath testing. These conditions include common ailments such as heartburn, GERD, a hiatal hernia, gum disease, dental appliances or even the flu. YOU WERE NOT PROPERLY INSTRUCTED ON HOW TO PROVIDE THE BREATH SAMPLE. You’ve heard the old saying “Garbage In, Garbage Out”; that saying aptly applies to the manner in which the Officer instructs you on how to provide a proper sample for the breath tester. There are procedures for instructing a subject on how to provide a proper sample and if the subject is not given proper instructions the result could be a false high. Officers who tell you to take a deep breath and blow into the device as hard as you can and then keep telling you to continue to blow and blow harder are mis-instructing you and causing the devise to read a high alcohol level than would have resulted if properly instructed on how to blow. Police know the harder you blow the higher you and the longer you blow, the higher you go. THE SAMPLE WAS OBTAINED AFTER YOU ABSORBED ALL THE ALCOHOL. Breath testing assumes that the subject is post absorptive. This is important because the machine is calibrated to multiply the breath result by 2100 to calculate your blood alcohol level. If you were still absorbing alcohol, this would tend to significantly over report your true blood levels. THE TEMPERATURE OF YOUR BREATH WAS 34 DEGREES CENTIGRADE. The Police Agency Responsible For The Alco-Sensor VXL Did Not Properly Maintain It. The Police Agency Responsible For The Alco-Sensor VXL Did Not Properly Calibrate it. There Is A Disconnect Between Your Observed Symptoms, Driving And Behavior And The Test Result. The Officer Conducted The Breath Test Without Waiting At Least 15 Minutes And Making Sure That You Didn’t Burp, Belch, Vomit, Regurgitate, Eat Drink etc. Breath testing in Orange County presents a few defenses that are restricted to Orange County by virtue of the breath testing device used in Orange County. The Police Departments, CHP and the Orange County Sheriffs use a breath tester called the Alco-Sensor V-XL, which is a hand held evidentiary breath testing unit. This device, (pictured above), uses fuel cell technology. It can be used as a Preliminary Screening Test (PAS) test right after the field sobriety test and then switched into Evidential Mode to secure a post-arrest evidential breath test at the site of the arrest rather than at the Police Station. As a result, the testing is done much closer to the actual drinking time and can be done during the absorptive phase of alcohol metabolism which can result in a false high reading if the last drink was within the last 1-2 hours depending upon how full the stomach is. If this were the case, the breath test would over report what the true blood alcohol level would be because such a person would still be absorbing alcohol even though the alcohol was still in their stomach. Thus, the breath test would indicate that you were over the legal limit when a simultaneous blood test would show that you were under the legal limit. This is a likely scenario when a driver submits to a breath test while some of the alcohol is still in their stomach. You should be aware that a breath test administered in the field shortly after driving may represent a false high because you may still be in the absorptive phase of alcohol metabolism and your alcohol level would still be rising. The officer is required to advise you that the pre-arrest PAS test is not required and that you have the right to refuse to submit to that test without implicating the Implied Consent law. The Officer is also required to advise you that if you do submit to a PAS test and are subsequently arrested for DUI you will be required to submit to a Implied Consent post arrest evidential test of either your breath or blood. If you were arrested in Orange County and need a qualified Orange County DUI Attorney, contact the California DUI Lawyers of the Law Office of Barry T. Simons for a free, no-cost consultation and DUI case evaluation. The DUI Lawyers of the Law Office of Barry T. Simons are all Contributing Editors to the two-volume treatise: “California Drunk Driving Law”, considered the “Bible of DUI Defense by California DUI lawyers and Judges. If you are in need of quality DUI defense representation, you need to contact the Orange County DUI defense lawyers of the Law Office of Barry T. Simons today for a free, no-cost, DUI consultation and case evaluation.